On Sept. 10 at 12:25 p.m., a 25-year-old Temple Hills woman was driving her Hyundai north on St. Charles Parkway near St. Thomas Drive in Waldorf when her vehicle went off the roadway and struck a tree. The crash propelled her car about 60 feet into Wakefield Lake where the vehicle quickly submerged in about 5 feet of water. The woman was able to get out of her car through the driver’s side window. She had no visible signs of injury, but was transported to Charles Regional Medical Center for treatment. The woman reportedly told officers she had been texting and driving when she lost control of her vehicle. Cpl. 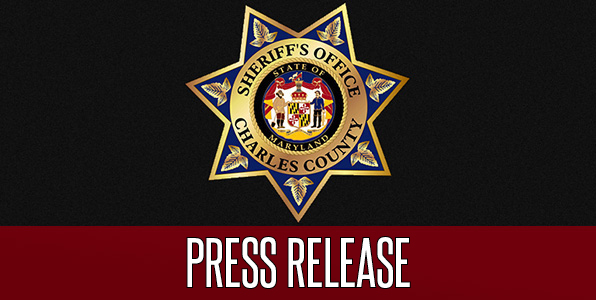 J. Hopkins of the Charles County Sheriff’s Office Traffic Operations Unit is continuing the investigation and charges are pending. Any witnesses are asked to call (301) 932-2222. Charles County Crime Solvers offers rewards of up to $1,000 for information about a crime in Charles County that leads to an arrest or indictment. Anyone with information about a crime may contact Crime Solvers at 1-866-411-TIPS or Text CHARLES + your tip to CRIMES or submit a web tip. All callers remain anonymous.